The eastern side of Algarve is a fascinating region offering historic towns, charming villages and stunning beaches. 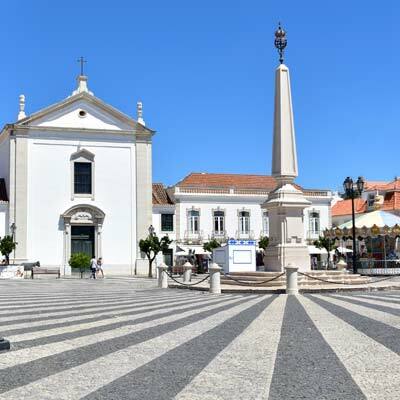 Tavira lies at the heart of this region, and is a wonderful holiday destination, combining an authentic Portuguese experience with world-class tourist facilities. 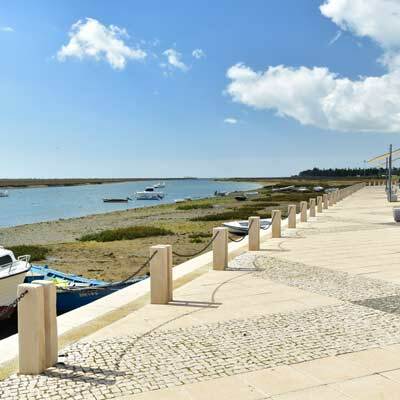 The location of Tavira means that it is the ideal base from which to explore the eastern Algarve, and there is inexpensive public transport covering the entire region. 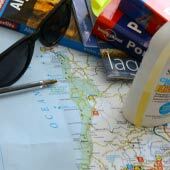 This guide will detail the best day trips Tavira, along with information about the nature parks and beaches of the eastern Algarve. 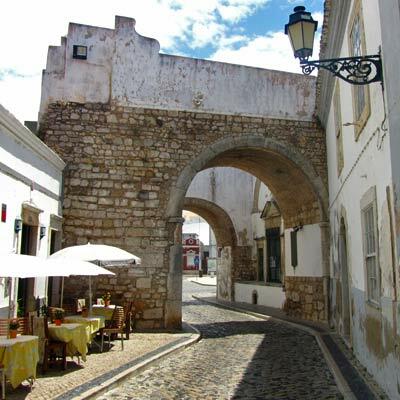 Faro is a historic city, which has a delightful walled old quarter, a pretty harbour and bustling pedestrianised shopping streets. Highlights of Faro include the Gothic Se cathedral, the ghoulish bone chapel and the decorative Arco da Vila gateway. 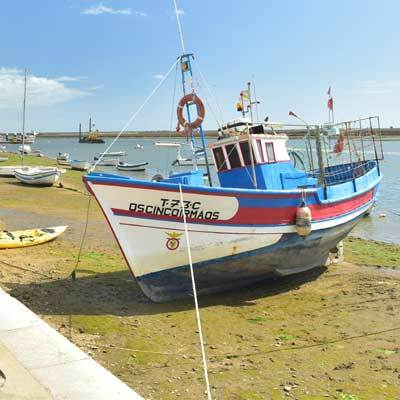 Departing from Faro harbour are boat trips to the Ilha Deserta (the Deserted Island) and boat tours of the Parque Natural da Ria Formosa. 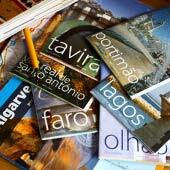 There is a direct train from Tavira to Faro, and the city has ample to fill a day of sightseeing. Vila Real de Santo Antonio sits on the banks of the mighty Rio Guadiana, overlooking the Spanish border. The town has a grandeur beyond its size, and the centre is lined with impressive Baroque architecture. 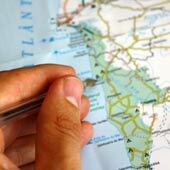 As part of the day trip, it is possible to cross the Guadiana River by ferry to the Spanish town of Ayamonte. 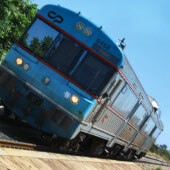 There is a direct train from Tavira to Vila Real. 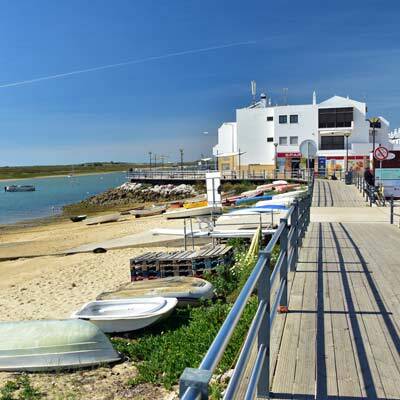 Santa Luzia is a traditional fishing village, which lies along the waterways of the Parque Natural da Ria Formosa, and specialises in the fishing of octopus. 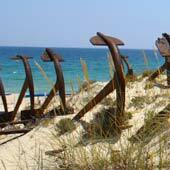 A trip to Santa Luiza is often combined with a visit to the Praia do Barril beach, which was once a tuna fishing community and the setting of the Cemitério das Âncoras. Cabanas is a peaceful resort town that is a favourite with retirees and long stay visitors. The harbour front is lined with relaxed cafes and restaurants, where patrons spend all day, enjoying the unhurried atmosphere of the town. There is a ferry which crosses to the beaches on the Ilha da Cabanas. If you seek a relaxing day then Cabanas is the destination for you. 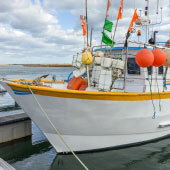 Olhão is a busy fishing port and working town, which boasts some of the finest seafood restaurants of the Algarve. There is the largest fish market of southern Portugal, a scenic harbour front, and a historic centre filled with traditional fishermen’s houses. From the harbour are ferries to the Ilha da Culatra. 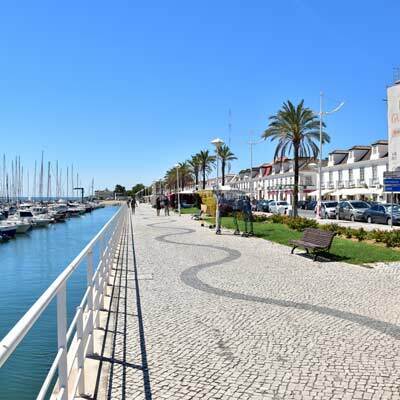 Olhão has a working atmosphere with a but is a likeable town. 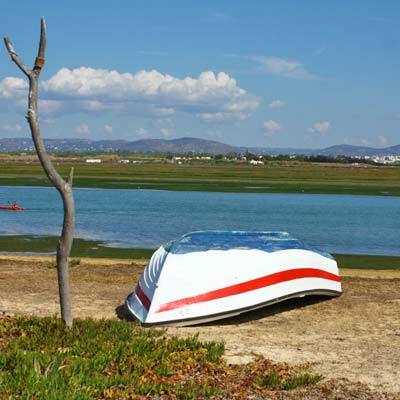 Cacela Velha is a scenic village, which is positioned on a hill above the Ria Formosa. This strategic position has an 18th-century fort, a picturesque village and stunning views over the coastline. 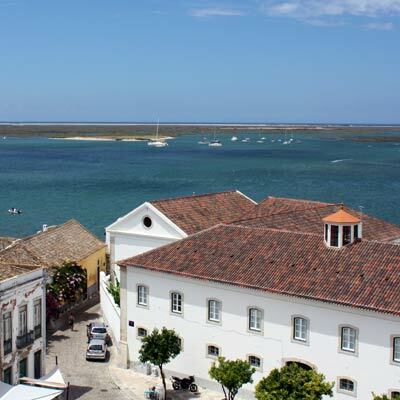 It is hard to believe that pretty Cacela Velha is in one of Europe’s most popular holiday destinations. 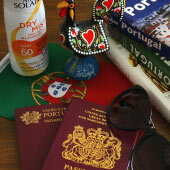 Monte Gordo is a modern resort town that sits on the largest beach of the eastern Algarve. 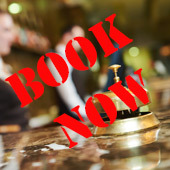 Monte Gordo has a lively holiday atmosphere and buzzing nightlife, but is devoid of any Portuguese character and charm. Castro Marim is a heavily defended town on the eastern side of the Algarve, which protected Portugal from Spanish aggression or invasion. There are two castles in Castro Marim; a 14th-century castle constructed by the Order of Christ as their religious stronghold, and a 17th-century fort that guarded the Rio Guadiana. 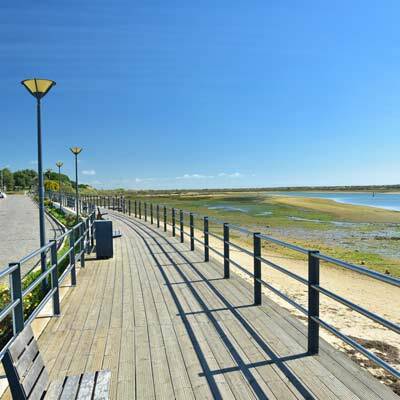 The Parque Natural da Ria Formosa are the saltwater lagoons and mudflats between Faro and Tavira. This region is a haven for migratory birds and protects the fragile marine ecosystem, which would have succumbed to mass tourism if not protected. The natural park designation also helps preserve the traditional fishing communities (such as the Ilha da Culatra) and sustainable fishing techniques used by them. 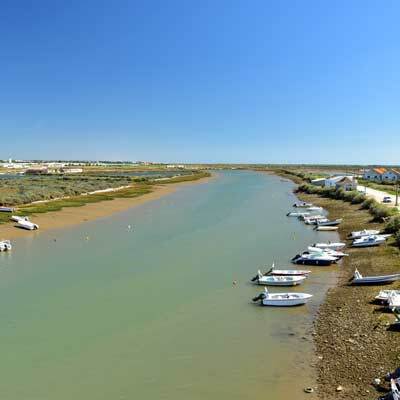 The Ria Formosa is best explored by boat tours, which depart from Faro, Olhao or Tavira. These are salt marsh wetlands between Castro Marim and Vila Real de Santo Antonio. Within these marshes is a permanent flock of flamingos, and it is a great location for hiking and bird watching. Along the edge of the marshes, salt is collected from the marshes using classical drying methods. 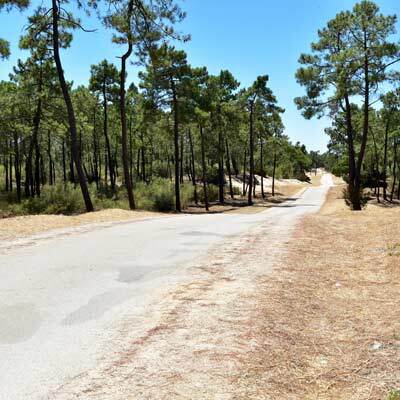 South of Vila Real de Santo Antonio are mature sand dunes covered by pine forests. 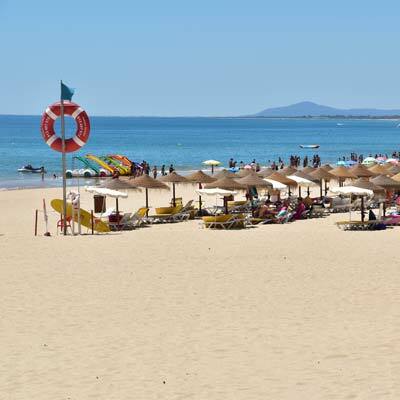 Within the forest are shaded footpaths, which open out onto the vast Praia de Santo Antonio beach. This may be the lesser of the region’s nature parks, but it is a pleasant setting for a peaceful walk or to escape the summertime crowds. 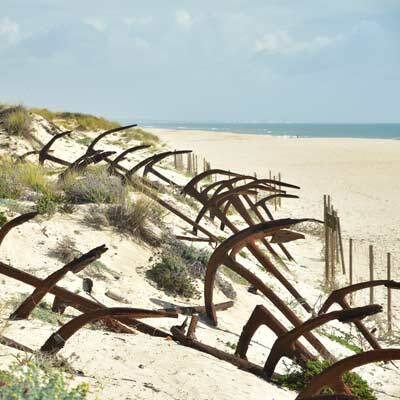 The Cemitério das Âncoras (Anchor graveyard) comprises of over one hundred rusting anchors that have been placed in the sand dunes behind the Praia do Barril beach. 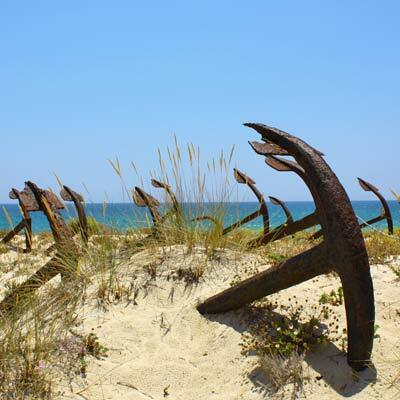 These anchors are a memorial to the former tuna fishing fleet which was based on the Praia do Barril until the 1960s. Praia do Barril – A scenic beach, which was once home to a tuna fishing community. 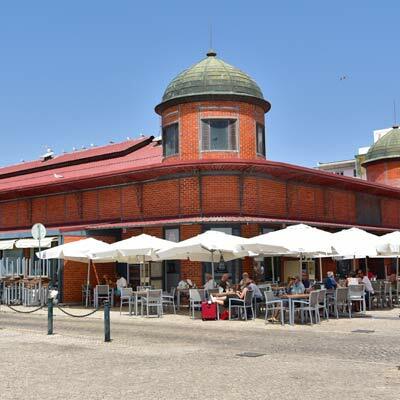 The fishing huts have been converted into shops and cafes, while the rusting anchors form the Cemitério das Âncoras. Cabanas – A calm beach which is accessed from the town of Cabanas. 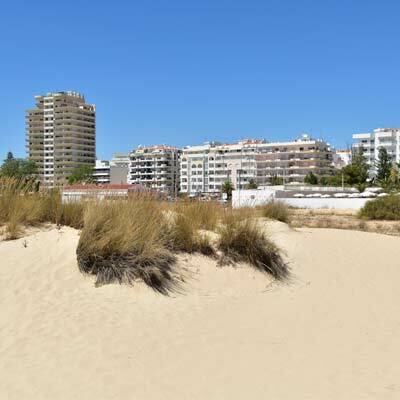 Monte Gordo to Manta Rota – A vast beach with the warmest seawaters of the Algarve, just try to ignore the huge apartment blocks and hotels behind the beach.